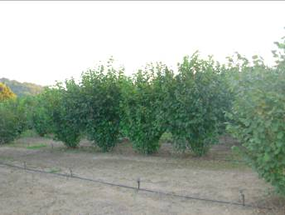 In a young orchard, a drought will prove disastrous, while in an established orchard truffles will not be produced that year. 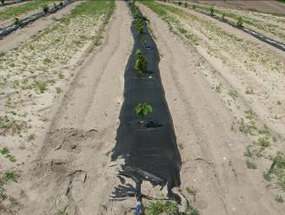 Consequently, an irrigation system must be available. We can suggest several low cost alternatives. When the seedlings are young, weeds can be extremely detrimental. Control is accomplished by a combination of cultivating, spraying and/or mulching. Cultivating at appropriate times will incorporate lime, control weeds, aerate the soil, and promote root growth. As with any agricultural endeavor, truffle growing requires time and energy. Easier than many other crops, as a potential grower you should be aware that there is work and care involved. Your orchard may have special conditions. Garland Truffles will help you determine what these are, and how to proceed.